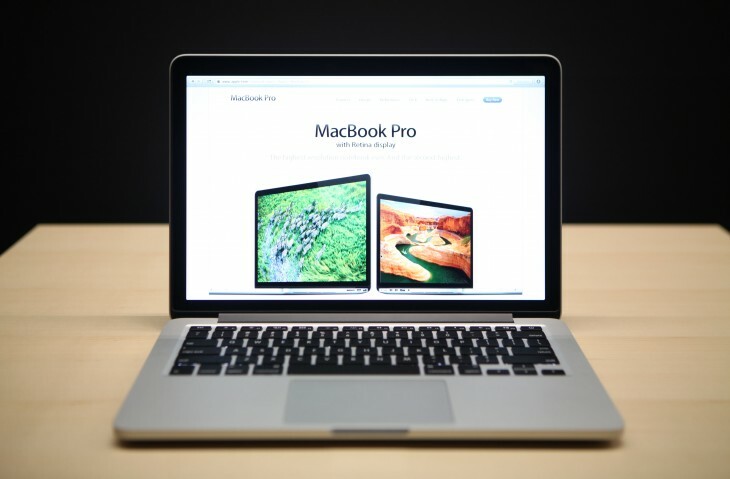 With the release of OS X Yosemite fast-approaching, it’s hardly surprising that Apple has decided to give its MacBook Pro with Retina display lineup a quick refresh. On the outside Apple’s laptops look exactly the same, but under-the-hood specs have been bumped up across the board. The 13-inch model starts at $1,299 and now comes with a 2.6GHz dual-core Intel Core i5 chip and 8GB of memory. An extra $200 will increase the flash storage from 128GB to 256GB, while a further $300 adds a beefier 2.8GHz dual-core Intel Core i5 chip into the mix. 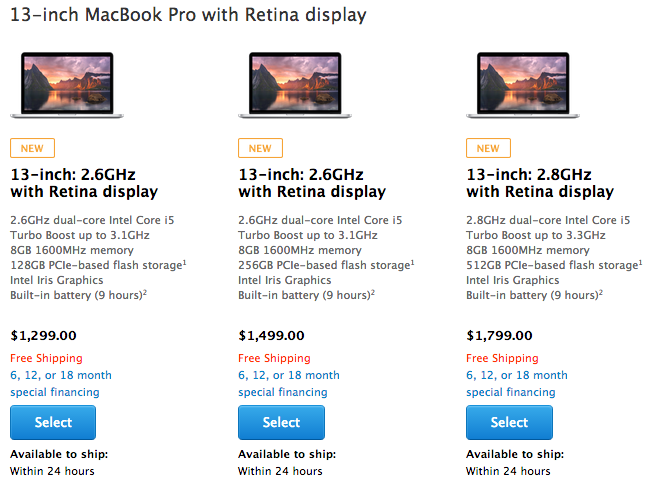 The entry-level 15-inch MacBook Pro with Retina Display starts from $1,999 with a 2.2GHz quad-core Intel Core i7 chip and 16GB of memory. The more expensive $2,499 model comes with a faster 2.5GHz chip and increases the internal flash-based storage from 256GB to 512GB.